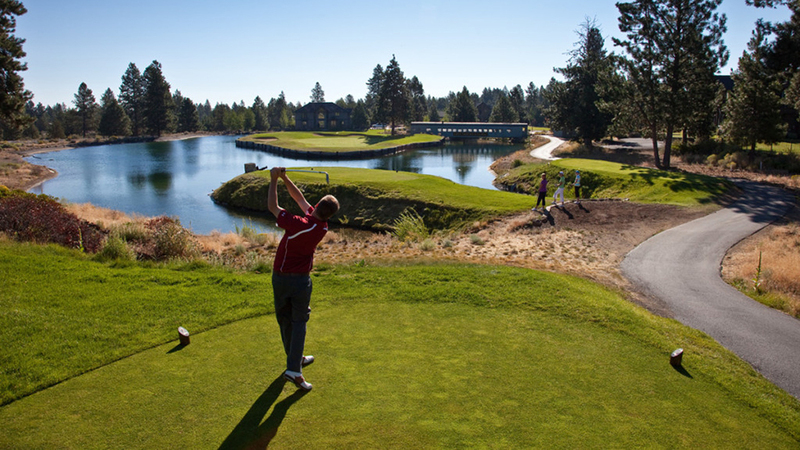 Lost Tracks Golf Club at Bend’s far south end offers more than just great golf. Playing a round with them give you access to all of the great amenities the provide at this public course, like GPS included with all cart rentals at no extra cost. Play on grass tees year-round, work on your full swing on their 13,000 square foot Practice Tee and driving range and two expansive putting and chipping greens, a great area to hone the all-important short game. They have a number of ways to save on your next game. If you plan your vacation with one of their lodging partners and you can get 10% off (or more) off rates and you can also save on your rounds at Lost Tracks by taking advantage of one their Annual Pass options. Lost Tracks Golf Club offers a full-service Bar & Grill for a quick sandwich before hitting the #1 tee or a fresh-grilled Cheeseburger in the 19th Hole. In addition, Lost Tracks Golf Club has a full-service bar serving a variety of local microbrews and a full line of spirits. They have outdoor seating seasonally with breathtaking views of the Cascade Mountains, a perfect way to end your round.